Building Trust is critical and essential at a new workplace and maintaining it is equally important. Delivering good results early (early-wins) is very important as it’s a kick-off for trust and faith building process. And once good results are delivered early on first time, it’s important to keep into consideration that one factor that plays crucial role in maintenance of trust and faith is “Consistency is Delivery”. It’s important to deliver best first time and every time consistently. Secondly, for leaders joining new organization, it’s important to build trust with team members as well, because ultimately it would be team with whom a leader has to work and get the work done. So it’s very important for a leader to build and maintain a bridge between his team and management. @Jay – Thanks for adding that valuable point that consistency is important. Most people I have seen build trust once, and then get complacent. The thing with trust is – it is difficult to build it, but very easy to loose it. So yes, consistency is very important to remain trustworthy on a long run. Thanks for Fabulous Five ways to build trust..
Trust is the key component between any relation. Relationships cannot grow or have a chance of becoming happy if there is no trust. The quote – “Clients love it when you ship on time. People love it when you keep your promises” is awesome. Commitment and building confidence is a major factor of Trust. @Anil – Thanks for the comment Anil. Yes, building trust is the starting point of relationship and happiness. For a leader, it is very important to extend trust to the new team members, so as to really connect with them. ‘Being trusted’ is one of the basic human need, and leaders who fulfill this need early build great relationships with their people. Again a awesome post ! These 5 points are really important in any IT professionals’ corporate life. Building trust is the main thing when you are new to any organization. sometimes happens that people get different impression than that you originally are. i like “Deliver Results” and “Give Respect” most. All the 5 points are connected with each other very well. 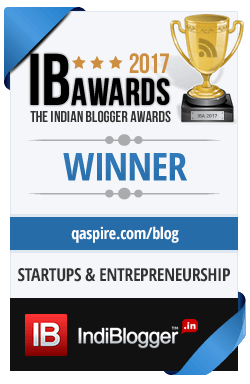 Thanks Tanmay for really great Post Again! @Megha – Thanks for encouraging Megha. The simplest way to project yourself the way you are is to open up and remain integral. Doing what you say, consistently, establishes an identity. The earlier that happens, the better it is to build trust. I am so glad that you find value in the posts! Keep reading/commenting! I really loved, how you wrote.. “Clients love it when you ship on time. People love it when you keep your promises.” and then “Practice what you preach and preach what you practice”..
@Ajay – Thanks Ajay, glad you liked the ideas presented in the post. Keep reading/commenting! Great post Tanmay. You hit directly on the philosophy I’ve been writing about at http://www.careercurve.com/blog. Being humble enough to start with yourself is huge and then building trust creates respect. Trust and respect have everything to do with employee engagement, retention, attracting top talent, employer brand, and ultimately, production. Learning to instill trust has a huge impact on the bottom line. Thanks for the advice on how to get it! @Jen – Thanks for the comment and I am so glad you liked the post! You bring out a real correlation between building trust and engagement/retention/branding and production. The post was written with a perspective of how new joinees can build trust – but this other angle is worth exploring! Trust rules! I agree it’s extremely important to build trust with customers and colleagues. But with colleagues in particular, you also have to show how you can help them. Otherwise they may trust you just fine but not feel they need to work with you.